Top Dutch interior designer Eric Kuster’s own label lives under the marque of Metropolitan Luxury. There could not be two words better suited to sit side-by-side and describe his inimitable style, which relies on the perfect balance of classic and contemporary, European and international. Since establishing his own brand in 1999, Eric Kuster has become a world-renowned interior designer who counts many famous names among his clients. He also creates exclusive interior design products, from furniture and fabrics to luxury home accessories and fragrances under his Metropolitan Luxury label. And shares his extensive knowledge of design via his bi-annual magazine, Entourage and numerous books, including the latest 'Eric Kuster Interior Design'. 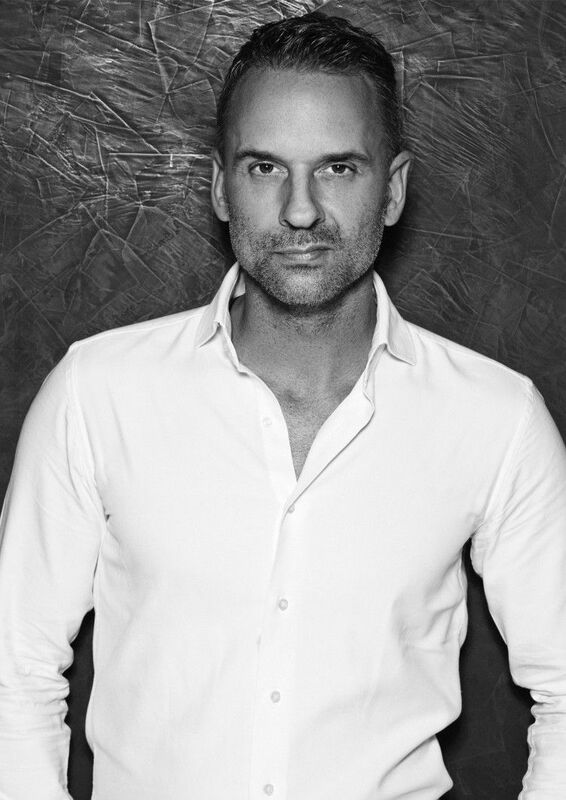 All this, establishes Eric Kuster: the holistic lifestyle guru, known for producing beautiful objects and textiles, alongside pure interior design and beyond. Your stylish interiors are an appealing blend of classic and modern elements and you develop your own collections of fabric and furnishings to use in your work. Where do you find inspiration and how do you present to clients? "By travelling. I travel a lot to beautiful locations all over the world, so that is a major inspiration. Other references come from TV and film—I am obsessed with British cinema, especially from the 1960s and 70s—the glamour of James Bond or retro vibe “Thunderbirds.” I am also a big fan of internet research. I can spend hours looking for exactly the right image on Pinterest or even Google. Of course, as a designer, I am a very visual person, but so are my clients and as the saying goes ‘a picture says a thousand words.’ If I find the right inspiration, it is easy to communicate my vision to clients. We make moodboards, material boards, and digital presentations. But one of the main things for me is to get clients into the studio because so much of what I do is about the materials and you really have to see them and feel them to get a true multi-sensory vision of the end design. Digital just does not give you the tactility that you need, especially when talking about marbles and textiles and woods, which you really have to see, feel, and experience. With every interior, it is all about finding perfect combinations. Of course the big idea needs to be good, but so does every detail. The mix of masterplan and final execution are equally important. I was called a ‘glamour designer’ for many many years, but my style has now evolved in keeping with my ‘Metropolitan Luxury’ label. It is still luxurious, but less about the façade and more about an aesthetic that goes a little deeper." Your creativity and energy seem to be nearly boundless. What motivates you in your day-to-day work? "I love my work, I love my company. Of course I have good days and bad days, just like everyone else, but it is mostly good. Always after a bad day you have a good one and the positives outweigh the negatives ten fold. Having said that, what gets me out of bed most mornings is planes. Often I have to get up at 5:00am to catch a flight at 7:00am. That happens at least three times a week. But, also when I am in my head office in Holland or London or Germany, I get up early and work late. I feel so passionate about what I do. I could not live this lifestyle if I did not love what I do. I work around 18-hour days, so it would be impossible without passion. If I stopped enjoying what I do, I would give it up tomorrow. The really exciting thing for me right now is seeing Eric Kuster becoming a brand. That is where my focus is. When I travel to London and go to other designers’ studios and see my books; that is amazing."